Danfoss oil nozzle programme consists of a wide range for standard burner systems as well as a series of special nozzles adapted for different market demands as regards operating area, media and emission. We supply nozzles in accordance with EN 293 and EN 299. Each nozzle is tested 100 per cent electronically and visually for function and uniformity. Danfoss recommends to change the nozzle once a year out of consideration for environment and operating performance. Combustion & Control Systems, Mumbai, India offering complete range of Danfoss make oil Burner Nozzles with competitive prices. Available sizes are:0.50 45 degree/ 60 degree/ 80 degree s0.75 45 degree/ 60 degree/ 80 degree s1.00 45 degree/ 60 degree/ 80 degree s1.25 45 degree/ 60 degree/ 80 degree s1.50 45 degree/ 60 degree/ 80 degree s1.75 45 degree/ 60 degree/ 80 degree s2.00 45 degree/ 60 degree/ 80 degree s/b2.25 45 degree/ 60 degree/ 80 degree s/b2.50 45 degree/ 60 degree/ 80 degree s/b3.00 45 degree/ 60 degree/ 80 degree s/b3.50 45 degree/ 60 degree/ 80 degree s/b4.00 45 degree/ 60 degree/ 80 degree s/b4.50 45 degree/ 60 degree/ 80 degree s/b5.00 45 degree/ 60 degree/ 80 degree s/b5.50 45 degree/ 60 degree/ 80 degree s/b6.00 45 degree/ 60 degree/ 80 degree s/b6.50 45 degree/ 60 degree/ 80 degree s/b7.00 45 degree/ 60 degree/ 80 degree s/b7.50 45 degree/ 60 degree/ 80 degree s/b8.00 45 degree/ 60 degree/ 80 degree s/b8.50 45 degree/ 60 degree/ 80 degree s/b9.00 45 degree/ 60 degree/ 80 degree s/b9.50 45 degree/ 60 degree/ 80 degree s/b10.00 45 degree/ 60 degree/ 80 degree s/b11.00 45 degree/ 60 degree/ 80 degree s/b12.00 45 degree/ 60 degree/ 80 degree s/b13.50 45 degree/ 60 degree/ 80 degree s/b15.00 45 degree/ 60 degree/ 80 degree s/b17.00 60 degree/ 80 degree s/b19.50 60 degree/ 80 degree s/b22.00 60 degree/ 80 degree s/b25.00 60 degree/ 80 degree s/b28.00 60 degree/ 80 degree s/b31.50 60 degree/ 80 degree s/b35.00 60 degree/ 80 degree s/b degree. Ecoflam, Bentone, Oilon, Weishaupt, Riello, FBR, Sookook, De unigas, Baltur, Lamborgini, and other indian burners. 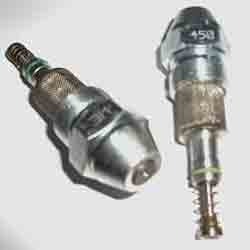 We are the foremost importers of finest quality oil burner nozzles like Monarch Nozzles from USA. We will offer most competitive prices and original stuff from MONARCH NOZZLES USA. All sizes are ex stock availability like: 45 degree, 60 degree, 80 degree, R, NS & PL, PLP Series suitable for LDO, HSD & special Monarch nozzles HO Series suitable for FURNACE OIL, we also supply bypass nozzles for THERMAX BOILERS. MONARCH MAKE NOZZLE FOR WEISHAUPT. MONARCH MAKE NOZZLES FOR FURNACE OIL. One of our premier lines of products includes Charles Bergonzo Nozzles. Made from finest of available raw materials these are highly durable. High performance and quality finish are some of the highlights of these burner nozzles, due to extensive use of leading technology and intense supervision of highly qualified engineers. 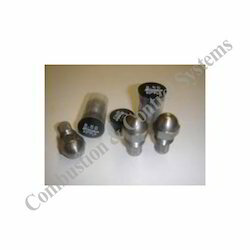 Highly regarded in automobile industry, we offer these nozzles with industry leading price. We are leading manufacturers of Oil & Gas Burner Nozzles along with other world renowned industrial products. 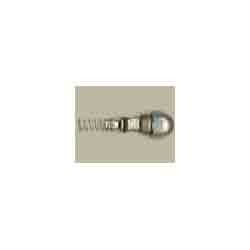 Made from only the finest brass and stainless steel, they are apt for misting and cooling systems. 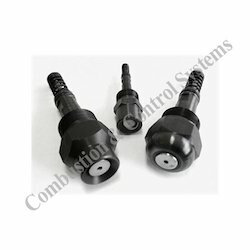 With the help of advance technology and skilled professionals, we are producing these nozzles with easy ignition power. 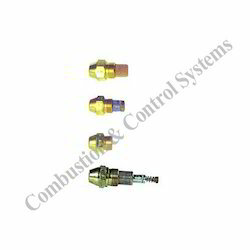 Available models of burner nozzles are Monarch, Danfoss, Fluidics and Bergonzo. 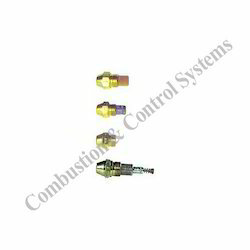 Combustion & control systems, Mumbai offers spare parts for Boilers and burners. 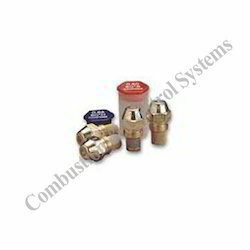 Combustion & Control systems, Mumbai, offering Oilon burner imported original Regulating nozzles at affordable prices. Combustion & control systems, Mumbai offer Oilon burner spares. 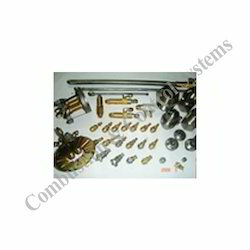 Combustion & control systems, Mumbai offering Oil and gas boiler burner spare parts. 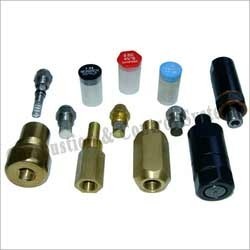 We offer oil nozzles for thermax, nestler, iaec, westorwork, fuelpac, double ace boilers. Looking for Oil Burner Nozzles ?